Born of Water and Spirit? Jesus's encounter with Nicodemus the Pharisee is a very well known story. "You must be born from above," Jesus says. Nicodemus wants to know how that can be. Jesus reiterates that "unless one is born of water and the Spirit he cannot enter into the kingdom of God." Volumes of literature have been written about how to interpret Jesus' statements within this pericopae; and I'm probably not the first to make the following observations; but since this blog is about my observations, I'll jot down some thoughts anyway. Now when [Jesus] was in Jerusalem at the Passover, during the feast, many believed in His name, observing His signs which He was doing. But Jesus, Himself, had not been putting-belief-in Himself to them, for He knew all them, and because He did not need anyone to witness about mankind, for He Himself knew what was in mankind. And there was a man of the Pharisees, named Nicodemus, a ruler of the Jews; this man came to Jesus by night and said to Him, 'Rabbi, we know that you are a teacher come from God, for no one can do these signs that you do unless God is with him." Indeed, no one has ascended into heaven, but He who descended from heaven: the Son of Man. As Moses lifted up the serpent in the wilderness, even so must the Son of Man be lifted up; so that whoever believes in Him will have eternal life; for God so loved the world that He gave his one-and-only Son, that whoever believes in Him shall not perish, but have eternal life. For God did not send the Son into the world to judge the world, but that the world might be saved through Him. He who believes in Him is not judged; but he who does not believe has been judged already, because he has not believed in the name of the one-and-only Son of God. This is the judgment, that the Light has come into the world, and men loved the darkness rather than the Light, for their deeds were evil. For everyone who does evil hates the Light, and does not come to the Light for fear that his deeds will be exposed. But he who practices the truth comes to the Light, so that his deeds may be manifested as having been wrought in God. 1) Nicodemus begins by saying: "...we know that you are a teacher come from God...". 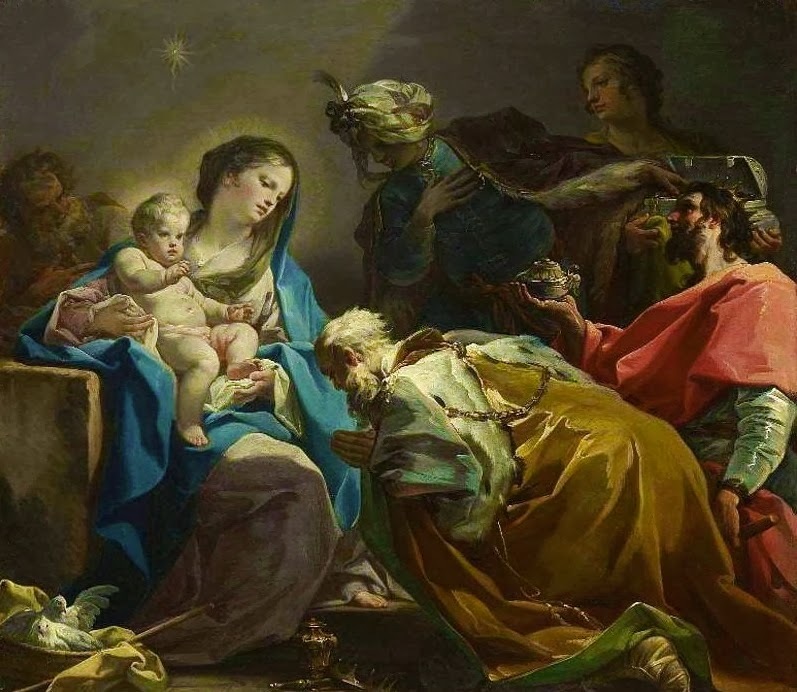 Jesus responds with a statement about an individual being born "from above" in order to see the kingdom of God. 2) Nicodemus follows that with something like, "How can that be and how does that even work?" (I'm paraphrasing, obviously). Jesus provides an answer for that question too: a person must be born of two things: water and Spirit to enter the Kingdom of God. And "do not marvel," Jesus says, "that I said to you, 'You-all must be born again.'" 3) Nicodemus responds one more time, saying "How can these things be?" To which, Jesus replied: "...we speak of what we know and witness of what we have seen, and you-all do not accept our witness. If I told you-all earthly things and you-all do not believe, how will you-all believe if I tell you heavenly things?" Now, at this point some questions remain. For instance, how do John's comments help us interpret Jesus' comments toward Nicodemus? The words of Jesus do not speak for themselves, and if left to interpret themselves within their own very narrow setting of John (3:1-21), we'll be left with curiosity at best and confusion at worst. I'll try my best (below) to illustrate what meaning I think Jesus' statements were intended to convey, according to the way John composed the narrative. The most important place to start is by recognizing that John is writing a letter about Jesus' ministry to Judean Jews---Jews and Jewish authorities around Jerusalem and its Temple. Matthew, Mark, and Luke don't record much about this aspect of Jesus' ministry. A second important factor to realize is that John is recording a dialogue between Jesus and Nicodemus that, in context, was entirely about Israelites. Sure, John comments about "man" and people generically; but he is utilizing those terms to illustrate Israelite "men," Jewish people. One would think that the context of this discussion taking place in Jerusalem at the time of Passover would be a clear enough indicator of this, but Christians often insist anyway that the references to "men" must mean something more. Well, they might have been intended that way originally, but I don't think they were, even though I think they teach principles which apply to all men today. But understanding John's point makes a whole lot more sense if it's kept in its original historical context about Jesus witnessing to Judean Jews in Jerusalem (which is where 9/10's of Jesus' actions in this Gospel take place). Notice also that Nicodemus begins by saying "...we know." This "we" must at least refer to Israelites in Jerusalem at the time of Passover, but it also highlights the other Pharisees and "rulers of the Jews" like Nicodemus himself. By the end of the discussion Jesus hands Nicodemus' words back to him, saying "...we speak of what we know...but you-all do not receive our witness". That "we" refers to Jesus' disciples: those disciples from Galilee who followed Jesus to the Temple in Jerusalem (2:17, 22), some of whom heard John the Baptizer declare Jesus to be "the Lamb of God who takes away the sin of the world (1:29, 36); it refers to disciples who receive a certain "witness"---a witness of what they have seen. In Jesus' first response to Nicodemus, he says that any Israelite (like Nicodemus, who just saw his "signs") must be "born from above" in order to see the kingdom of God. The kingdom of God is something visible, but not every Israelite could see it because, as John said immediately before the dialogue, Jesus "had not been putting-belief-in Himself to them, for He knew all them, and because He did not need anyone to witness about mankind, for He Himself knew what was in mankind." In other words, Jesus noticed that many Israelites believed in his name, believing that he was more than just a man sent from God. But Jesus knew them all, and he knew that not all would (or could) believe that he is more than just a mere man. He had visited the Temple throughout his life, seen the same kinds of people and their faithfulness to God, and he had seen their faithfulness to the traditions of their rulers (like Nicodemus) too. Jesus was not putting on a display of faith in himself before them, even in his zeal for his Father's house; and he did not need anyone to witness about mankind either. He knew he was Light sent into a world of darkness, and mankind loves darkness rather than light. To men he was just another man, only he was a teacher sent from God too; but he was still just a man. To others he was more than a mere man sent from God: he was the Son of God. He was what John the Baptizer witnessed in the opening scene of John's gospel, saying "...I have seen and have borne witness that this is the Son of God!" What is "in mankind" is disbelief that God became flesh, and that such flesh "tabernacled" among them (1:14). In the middle of all this, Nicodemus asks (paraphrasing again), "How can that be and how does that even work?" Jesus' comments about being born of water and Spirit are supposed to be understood in this context--this very Jewish context about seeing and witnessing the Son of God face to face, along with his disciples, but not actually seeing anything more than a human "teacher sent from God." 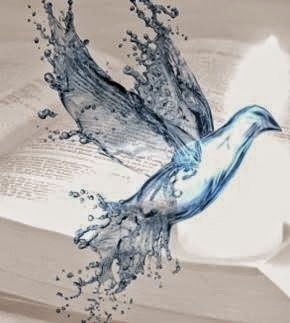 What does that have to do needing water and Spirit to enter the Kingdom of God? I don't think the reference to being born of the Spirit is the controversial part to answer. The controversial part has to do with what Jesus meant by needing to be born of water to enter the Kingdom. And that, I think is resolved by looking at the surrounding narratives. John's gospel begins with John baptizing with water in preparation for the Messiah to be revealed to Israel (1:19-27), followed by the Spirit descending from above and remaining upon Jesus. Jesus then performs his first miracle at Cana by turning water used for Jewish purification rituals into the best wine used to gladden the heart of the bridegroom. After this, Jesus travels to Jerusalem for the Passover, and his zeal for his Father's House (the Temple) leads into the discussion at night time with Nicodemus. Immediately following the discussion with Nicodemus we find more water imagery. Jesus goes out into the Judean countryside to visit John the Baptizer again, and to oversee his disciples baptizing alongside John (3:22-26; 4:1-3). Interestingly, but not surprisingly, it is in that context---the context which immediately follows Jesus' conversation with Nicodemus about "water and Spirit"---that we find John the Baptizer talking about Jesus receiving the Spirit of God without measure at his baptism (3:34), and to utter the words of God himself (v. 34), so that whichever Israelite receives Jesus' witness about the Father, and believes in Jesus his Son, will have eternal life (3:36). Following this pericopae, Jesus meets a Samaritan woman at a well, and Jesus describes himself with very clear Edenic Temple imagery, offering something from himself (the Spirit that descended from above and remained on him) as the water that wells up to eternal life. Is this all a coincidence? Did John accidentally surround the dialogue between Jesus and Nicodemus with multiple references to baptism, water, and Spirit? Of witnessing, believing, and receiving? This can be approached from another angle as well. It's obvious that John baptized Jesus with water, and the Spirit descended from heaven and remained on him from the time of his baptism with water. It's also obvious that Jesus believed an Israelite could not enter the kingdom of God unless he was born "from above," born "of water and the Spirit." And finally, it's obvious that Jesus visited John the Baptizer again, in a location where "water was plentiful" for baptisms (3:23). There John describes Jesus as the bridegroom, and himself as a guest at the wedding banquet. John is like one of Jesus' drawers of water, waiting for Jesus to turn that water into wine. There John also implies that those who witness and see Jesus as the Son of God are those whom Jesus has given his Spirit and those who have been baptized by his disciples. Those who witness and see Jesus as the Son of God are those who see him as the Lamb of God, the guilt offering to God for the world. They see him also as the Temple of God, who dwells in their midst and whose river flows out to the four corners of the world. They also see him as the baptismal font within the Temple, purifying bloody sacrifices into food for God and man, turning clear fonts of water into wells of living wine. I think it's difficult to overlook the overlapping themes of water and spirit, descending and receiving, witnessing and seeing in the beginning of John's gospel. All those terms are used by John to describe the salvation that God provided through His Son in the first century. And I think it would have been difficult for first century Jews--especially after the Temple's destruction in 70 A.D.--to overlook Jesus' connection with the Torah and Temple of God at that time. It's certainly not too much of a stretch to think John desired his first century Jewish audience to receive his letter in faith, seeing Jesus' Spirit at work page after page, and witnessing his life-giving presence poured out from above in baptismal waters. I imagine that those Jews who read John's gospel also noticed that Jesus was not well received by many of his own people. Those among Israel who were baptized by John's disciples, were baptized into the Temple and priesthood that God had fashioned with His Torah; Jesus was baptized into that as well, in order to have solidarity with Israel. However, Jesus died and rose from death to life again in order to resurrect a Temple in his own body. The resurrected Messiah commissioned his disciples to baptize the nations in the name of Father, Son, and Holy Spirit, baptizing them into His body, the true Temple of God, so they could see and witness eternal life. According to John's gospel, and according to Jesus' own ministry, water is nothing without the Spirit, just as speaking God's Word is nothing without the Spirit; but according to Jesus, actual pouring of baptismal water is just as significant to the actual outpouring of His life-giving Spirit as the speaking of His Word is to receiving the true witness about him. So instead of choosing one over the other, as though receiving God's Word is more efficacious than receiving the waters of baptism, John seems to be pointing his audience in a different direction---a direction more familiar to first century Jews than it is to 21st century Americans. According to John's gospel, the waters of baptism flow from the Temple of Jesus himself. What we find is not a dichotomy between receiving the Word and receiving baptismal waters; instead we find a Temple in the Son of God, Jesus, Israel's Messiah, and from the "living waters" he pours out, the nations are called by Word and Spirit to drink so that they would never be thirsty again. By illustrating further connections between the Edenic garden and the Temple, Um convincingly argues that John portrays Jesus as the true Temple in whom Israel's worship reaches its climatic goal.4 The old covenant expectation for building an end-time Temple reaches its telos or goal in the Messiah, Jesus, and out of that temple-of-his-body flows abundant new creation life to the rest of the world around Eden--the rest of the world around Jesus and his Body--irrigating it and quenching its thirst. Um sees this abundant new creational blessing of life culminating at the end of human history, but the significance of its beginning is worth further reflection and meditation as well. If Jesus began a new creational blessing of life for the whole world, that means his life-giving presence remains in the world until it reaches it's culmination at the end. That means people can always have hope in this world to be the hope of this world. In other words, the life giving waters flow in abundance from the Temple of Christ's body throughout the world to irrigate its land, and the Church, which is Christ's body, is the life of this world while the new creational temple-building process awaits its culmination. 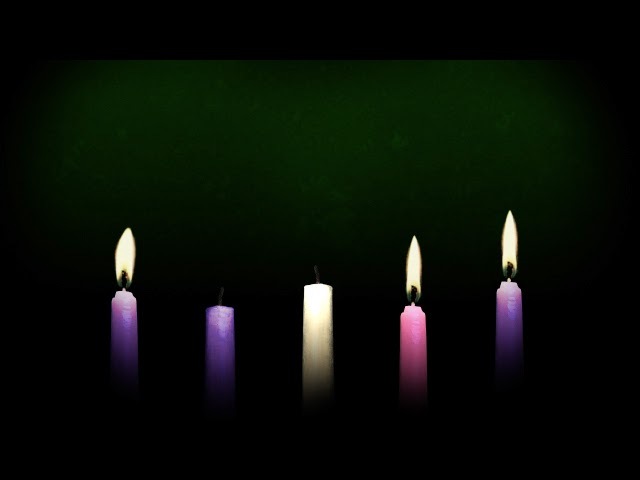 Ephiphany is a season of light, as reflected in a standard liturgical reading this day from Isaiah 60:1-7. As a season of light, it manifests that light that is seen in Jesus Christ. But the message surrounding and leading up to Isaiah 60 teaches us so much more. It teaches us what the righteousness of that light looks like and the tremendous privilege we have to worship that light, and be in that light, and to rejoice is having that light dwell in us, shining so bright that it glorifies our Father in heaven. In Isaiah 58:3, the people of God have a complaint against Yahweh, and this sets up the background for appreciating the message of chapter 60. They ask, "Why have we fasted and don't see it? Why have we humbled ourselves and you take no knowledge of it?" There are good reasons for Israel's concern. Threats of invading enemies and political alliances are against them, and Yahweh doesn't seem to care. Israel seeks Yahweh in prayer daily, awaiting His response. They profess with their lips that they "delight to know the ways" of Yahweh. They even ask for righteous judgments upon their enemies. And if that wasn't enough evidence, Israel is even said to have a posture of worship that "delights in drawing near" to Yahweh in sacrificial gifts to prove their faithfulness to Him (Isa. 58:2). Israel has a complaint against Yahweh because Yahweh is not responding to their cries or delivering them from their oppressors. They plead with God for deliverance, humbling themselves before Him in desperation. And to some degree He hears them too, but his perspective is quite different from theirs. Is not this the fast that I choose: to loose the bonds of wickedness, to undo the straps of the yoke, to let the oppressed go free, and to break every yoke? The people are truly in distress, and they truly want Yahweh to deliver them from their oppressors. This is why they fast. This is why they cry unto Him. But the kind of fasting Yahweh wants from them is to loosen the shackles of oppression, let their own oppressed servants go free, feed the hungry with their own bread (not the bread which others work for), bring the homeless into their own home (not sending them off somewhere else), and clothing the destitute who are naked. When Israel does that, Yahweh says their light will shine forth like the dawn, and He will bring healing upon them speedily (58:8). Israel's enemies would often intimidate them by pointing out that Yahweh cannot save. If He could, He would, or so they thought. After all, His people were diligent in sacrifices and prayer according to Yahweh's own word. But He must not be able to save because He is not saving. His hand must be too short or his ear too dull that He cannot save them when they need Him most (59:1) That's Israel's perspective when things are looking dark and gloomy (59:9). The problem with thinking this way is that Yahweh is not weak at all. If he wanted to rescue them from oppressors, his arm is long enough to do that. Yahweh ears are not dull either. He hears every cry, but their iniquities have ruptured His relationship with them. Their sins have hidden Yahweh's face from them so that He does not hear (59:2). Their "hands are defiled with blood" too (59:3), but the blood they have shed is not from murdering others. It's the blood shed by unjustly suing others, going to law against their neighbor for dishonest gain, relying on empty pleas and slanderous lies in their favor, and conceiving mischief which, in turn, gives birth for further iniquity (59:3-4). Their courts are thoroughly corrupt, not just the judges sitting on the bench. The way of peace is not truly known by the people, and there is no justice in the path they have chosen to walk. They think they're pursuing peace. They think they're faithfully active in social justice. But they have made their roads crooked, and therefore "no one who treads on them knows peace" (59:8). Justice is inverted, righteousness stands far away in the distance, truth stumbles in the public squares, uprightness isn't even allowed to enter the gates of the city, and those who flee from evil make themselves a prey (59:14-15). Yahweh saw all of this, and it displeased Him that there was no justice to be found in the land, and no man willing to intercede on behalf of the oppressed (59:15-16a). ...then His own arm brought him salvation, and His righteousness upheld him. He put on righteousness as a breastplate, and a helmet of salvation on his head. He put on garments of vengeance for clothing, and wrapped himself in zeal as a cloak. So they shall fear the name of the Yahweh from the west, and His glory from the rising of the sun, for He will come like a rushing stream, which the wind of the Yahweh drives. Arise! Shine! For your light has come, and the glory of Yahweh has risen upon you! For behold, darkness shall cover the earth, and thick darkness the peoples; but the Lord will arise upon you and His glory will be seen upon you! Lift up your eyes all around and see: They all gather together, they come to you. Your sons shall come from afar, and your daughters shall be carried on the hip. Then you shall see and be radiant. Your heart shall thrill and exult, because the abundance of the sea shall be turned to you. A multitude of camels shall cover you, the young camels of Midian and Ephah. All those of Sheba shall come. They shall bring gold and frankincense, and shall bring good news, the praises of Yahweh. All the flocks of Kedar shall be gathered to you. The rams of Nebaioth shall minister to you. They shall come up with acceptance on my altar, and I will beautify My beautiful house. When Yahweh comes to redeem His people, He sends His Spirit to illumine their darkness, and they become objects of His shining glory as a result. When they turn away from transgression, the glory of Yahweh returns to his house and His glory shines through their worship. When they turn from their own greed and selfishness, feeding the poor with bread of their own, His light shines through their good deeds. When they clothe the naked with their own clothes and shelter the homeless in their own homes, then the light of Yahweh is seen in them. When their hands stop shedding blood through lying, slander, injustice, and dishonest gain, then the nations will be attracted to their light, precisely because it is Yahweh's light that illumines them. As I said in the beginning, Isaiah 60 gives us a glimpse as to the kind of glorious light we walk in, the kind of light that Israel eventually saw in Jesus the Messiah. That Light is worthy to receive "the wealth of nations" from all over--from the far south-eastern lands of Midian, Ephah, and Sheba with their gifts of gold and frankincense (Matt. 2:1-2, 9-11), and from the local pastures of Kedar and Nebaioth with the shepherds and their flocks (Luke 2:8-20). That Light is worthy to receive our worship. That light is the true light which gives light to everyone (John 1:9). Whoever does what is true comes to that Light, so that it may be clearly seen that their works have been carried out in God (John 3:21). In that Gospel, the gospel lived in and through the Spirit of Jesus Christ, the darkness is passing away and the true light is already shining (I John 2:8).